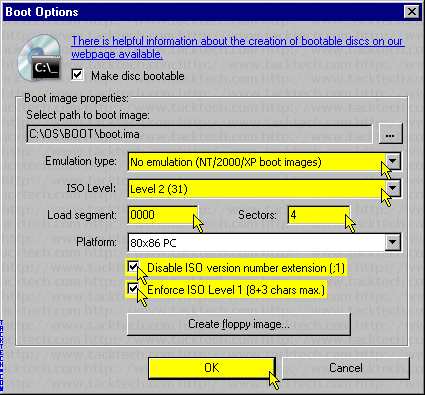 Creating bootable Windows 2000/XP/2003 Disc (CDBurnerXP 4.0.013.220) (Windows 2000/XP/2003) - TACKtech Corp. 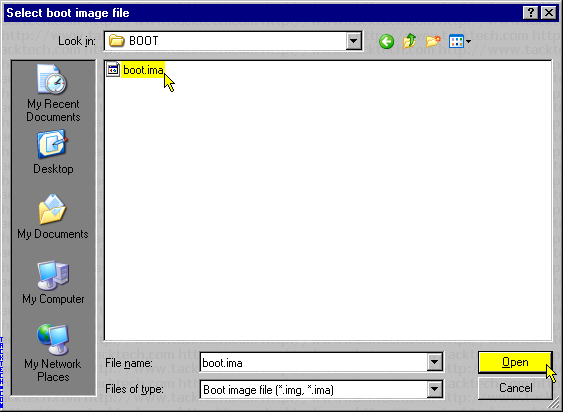 Note: CDBurnerXP 4.0.013.220 was using in this example. 1.) Insert a blank disc. 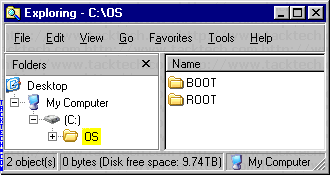 Select Disc > File system > ISO9660/Joliet from the menu. 2.) Set ISO Level: to Level 2 (31). 3.) Set Load Segment: to 0000. 4.) Set Sectors: to 4. 5.) 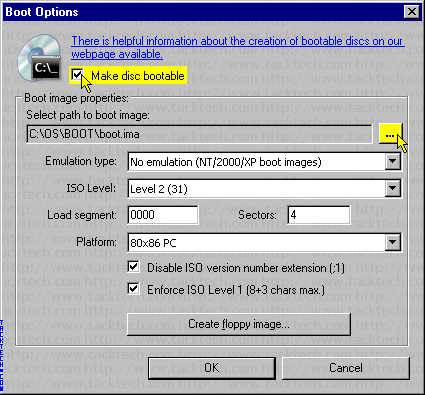 Check the Disable ISO version number extension (;1) checkbox. 6.) Check the Enforce ISO Level 1 (8+3 char max.) checkbox. 7.) Click the OK button. Select Disc > Set disc labels... from the menu. 1.) Enter in the Disc name:. 2.) 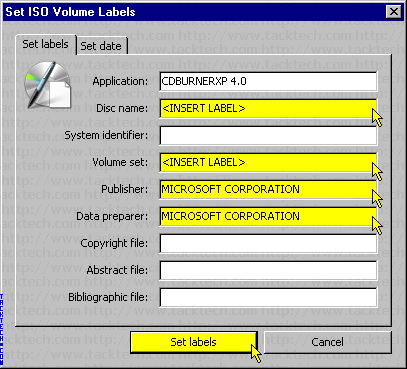 Enter in the Volume set: (Same as the Disc name). 3.) Enter in the Publisher: textbox MICROSOFT CORPORATION. 4.) Enter in the Data preparer: textbox MICROSOFT CORPORATION. Select Disc > Burn disc... from the menu. Click the Burn the existing compilation... buton on the toolbar. 1.) Check the Disc at Once checkbox. 2.) (Optional) Check the Use buffer protection checkbox. 3.) 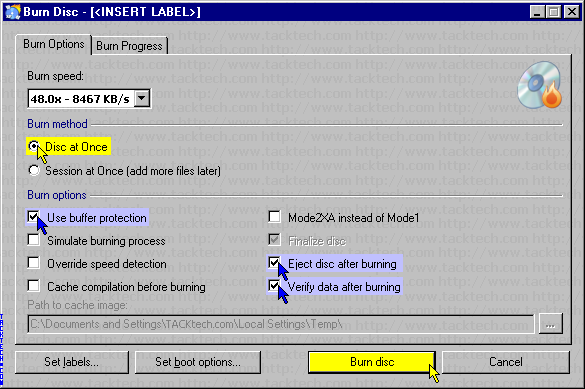 (Optional) Check the Eject disc after burning checkbox. 4.) (Optional) Check the Verify data after burning checkbox. 5.) 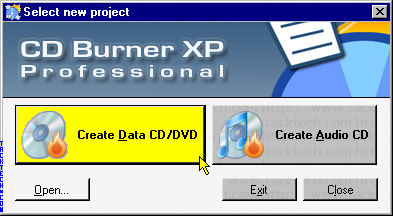 Click the Burn disc button.